With two new kart-racers set to release later this year, Team Sonic Racing and Crash Team Racing: Nitro-Fueled, we may finally see a worthy competitor enter the race and dethrone Mario Kart, which has dominated the genre for as long as we can remember. And even though the blue blur’s foray into street racing hasn’t ‘transformed’ the racing game scene like Sega had hoped, the first two Sonic Racing games were still generally well-received by critics and fans. Now with the third entry in the series on its way, it seems like developer Sumo Digital is beginning to hone in on Sonic Racing’s formula and establish an identity for the series going forward. So we thought we’d share everything currently known about Sega’s upcoming game as well as some circulating rumors. Make sure to check back as we’ll be updating this story with more information in the future. Team Sonic Racing Gameplay – What Could Be Changed? Sega had been teasing a new Sonic Racing game as far back as March 2018. 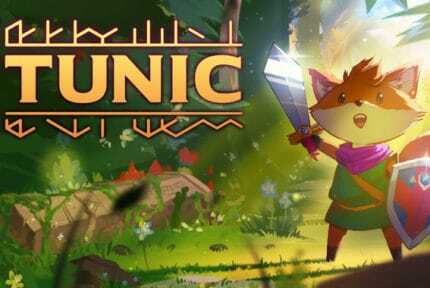 The game was officially confirmed following a Walmart leak that revealed the title and box art. Team Sonic Racing will be released on May 21, 2019 for PlayStation 4, Xbox One, Nintendo Switch, and PC. The premise for TSR is a lot more fleshed out than previous entries, although you can expect gameplay to remain the central focus, seeing as this is still a kart-racer. The game has Sonic and his friends participating in a Grand Prix tournament on Planet Wisp after receiving an invitation from the mysterious Dodon Pa, a raccoon-like creature with a big white mustache. Unbeknownst to Sonic and pals is the fact that Dodon Pa is secretly assisting Dr. Eggman in carrying out a sinister plan. As players progress through races, they’ll uncover more about Pa and Eggman’s evil scheme and ultimately find a way to thwart their efforts. Unlike previous Sonic Racing games, which incorporated characters across Sega’s catalog of games, TSR’s roster will focus on the cast of heroes and villains within the Sonic universe. According to the game’s producer, Takashi Iizuka, the goal is to “bring to the Sonic fans a pure, Sonic universe racing game.” While there’s still potential for new characters to be added as DLC in the future, for now we can expect this to be a strictly Sonic game. Sumo Digital has made a lot of big changes for TSR that have us excited. Players will be able to choose from a roster of 12 playable characters and compete in four different game modes, with some being available only through online multiplayer, and others that can be played both online or offline with friends or against AI. 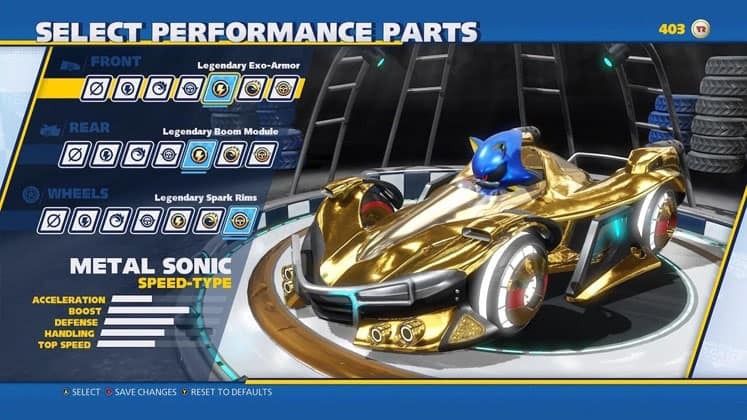 While racing, players will be able to collect 14 different offensive and defensive items called Wisps, which grant players a temporary power-up that results in some form of boost to their abilities, such as invincibility, increased speed, etc. 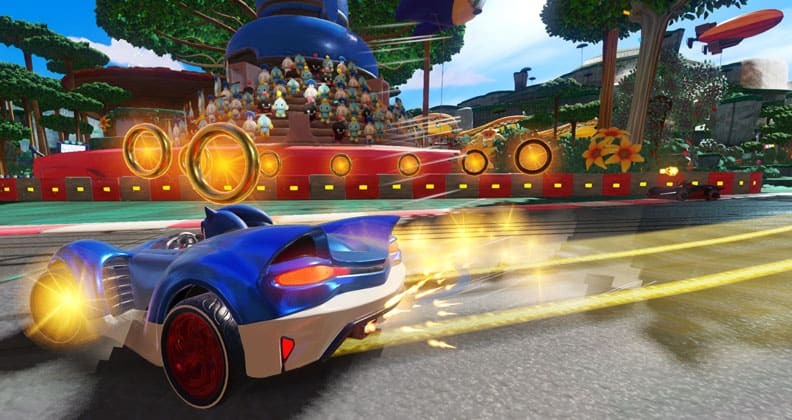 Many of the Wisps from previous Sonic Racing games will be making a return in addition to some new types we haven’t seen before. Players will still collect coins throughout the duration of a race, however unlike previous games, these won’t grant an extra life but rather contribute towards a team’s final score. If the player’s character is damaged during a race, they will drop all their rings and have a small window to reclaim as many as they can before they disappear. 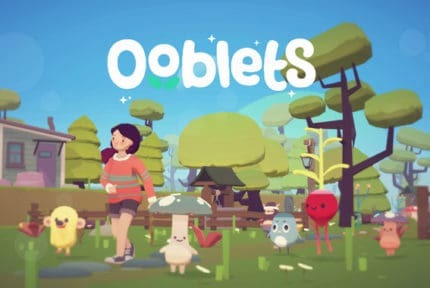 The game will maintain the series’ third-person perspective while also giving players the option to toggle between a front and rearview camera. This will make it easier to detect incoming enemy attacks and assist teammates. New for TSR is the addition of team-based maneuvers, which allow players to work together during races. There are a handful of team combos currently known, such as Slingshot, a move that allows other characters to follow a trail left behind by their teammate and increase their speed. Other combos include Skimboost, where passing a nearby teammate momentarily boosts speed, and Rival Takedown, which highlights enemies for the player’s team, making them easier to find and attack. Teammates will also be able to send each other items that can help out should they fall behind, regardless of what position they’re currently in. Each time a combo is performed, a Team Ultimate meter begins to fill. Once the meter has been completely filled, the entire team is given a temporary speed boost. Team Rose – Amy Rose, Big the Cat, and Four Chao, which has four different appearances: Dark, Hero, Neutral and Omochao. Bingo Party – First appeared in Sonic & Sega All-Stars Racing. Layout remains the same aside from a few minor changes. Boo’s House – New track for TSR. 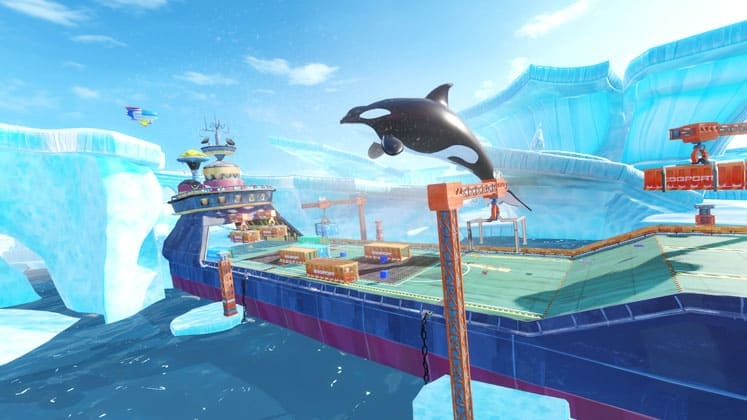 Ocean View – First appeared in Sonic & All-Stars Racing Transformed. Layout remains the same aside from a few minor changes. Grand Prix – An online 12-player race mode that features matchmaking and has players competing to earn points and improve their leaderboard ranking. Points are earned by performing team combo maneuvers, collecting rings and finishing races in the top spots. This mode allows for a team of up to four players and includes split-screen support. Team Adventure – A campaign mode designed for a team of up to three players that features a series of challenges and race tracks to complete in order to progress. Completing this mode will be critical for unlocking new characters. Exhibition – A custom racing mode that allows players to alter gameplay settings and win conditions for a particular race. Time Trial – A timed mode where players attempt to beat a high score by completing laps as fast as they can. TSR will also include advanced vehicle customization, allowing players to visit a garage where they can modify their vehicle’s performance by equipping different parts that affect handling, boost, acceleration, defense and top speed. Additionally, players will be able to change their kart’s appearance with plenty of different options for paint color, decals, and finishes. Lastly, players can alter the sound of their kart’s horn with a host of familiar sound effects from throughout the history of Sonic games. 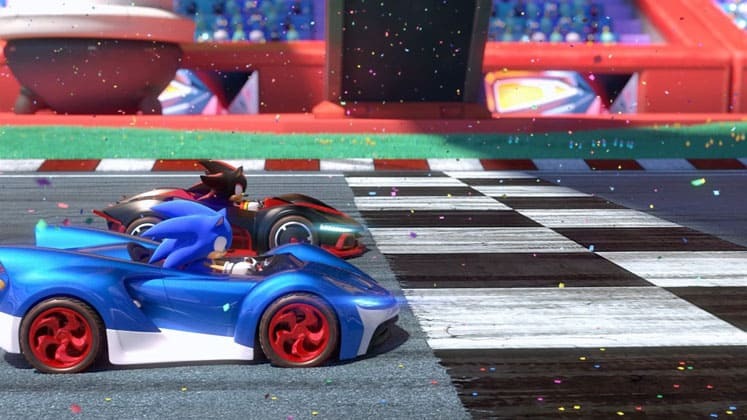 For a series that initially felt like just another Mario Kart-clone, Team Sonic Racing seems to be a culmination of everything Sumo Digital has learned from past mistakes. The shift in focusing on team-based racing feels like a step in the right direction, and more kart customization options will give players more to chew on. Although we’ll miss the option to race as characters from throughout the pantheon of Sega’s IPs, narrowing down the roster’s scope will no doubt result in a lot more praise from the army of die-hard Sonic fans. For now, we’ll have to wait and see what new high-speed thrills await when Team Sonic Racing launches later this Spring. If you’re a fan of mascot-themed kart-racers, check out our story for everything you need to know about Crash Team Racing: Nitro-Fueled.